What’s better? Knowing your customer or knowing your product? If I were forced to choose just one, I’d choose my customer. The reason is pretty straightforward – my ultimate goal is to help them using my product. Even if I know how my product is built and what it does, and a hundred different ways to use it, if I don’t know about my customer, I won’t know which of those ways to use it helps them. That means convincing them to buy my product becomes a guessing game. If you’re having trouble selling, marketing, or building products for your customers, and are looking for a way to improve, you’ve come to the right place. 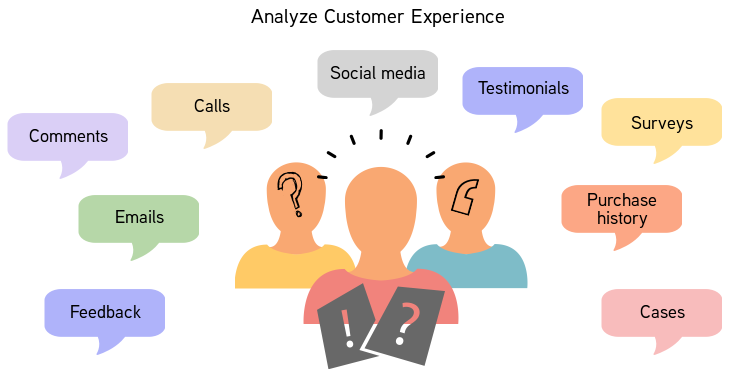 Here is a strategy you can use to get to know your customers better, and develop a more compelling customer experience. Customer profiling is a process of gathering information about your customers to develop a clear picture of who they are and what they’re motivated by. Doing it helps you understand how to create value for them. Customer profiling starts with gathering useful information about them. That starts with their name and contact information, but also consists of anything else about them. That means their journey through your website (using a tool like Google Analytics), responses to surveys about your customer experience, what they like on Facebook or Twitter, and even their purchasing behavior. Customer profiling isn’t a one-time event. It’s a continuous process that goes on throughout your customer’s lifetime. The more information you gather about them, the easier it’ll be to know how to group them, and develop targeted strategies to win over large groups of them. “Your customer doesn’t care how much you know until they know how much you care” – Theodore Roosevelt. Critical to serving your customers well is to engage them. This necessarily means talking to them as often as possible, asking about their needs, and surveying them about the customer experience. 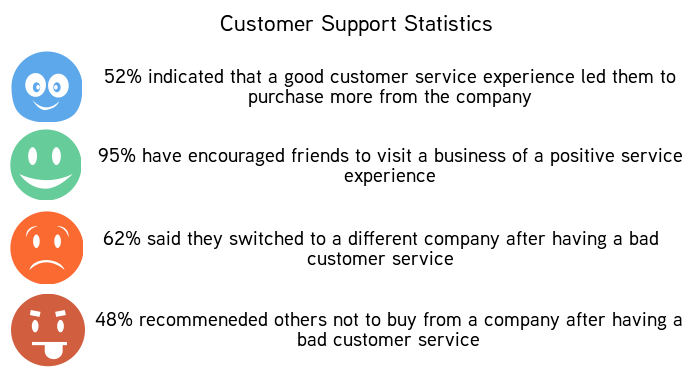 This information can teach you what parts of your customer experience are executed well, and what parts need work. Specific tactics include communicating across every channel – that means in-person, over calls, emails, social media, forums and more. Having pre-prepared surveys helps to create structured feedback that you can look at over time to see if you’re improving. Unstructured in person communication can be even more useful, but be careful to use this process strictly to learn and avoid reacting to negative comments defensively. The sum total of all of your conversations yields a good bit of data that’s ready for you to pore over and make decisions with. Businesses often struggle with uncertainty around who they’re selling to. 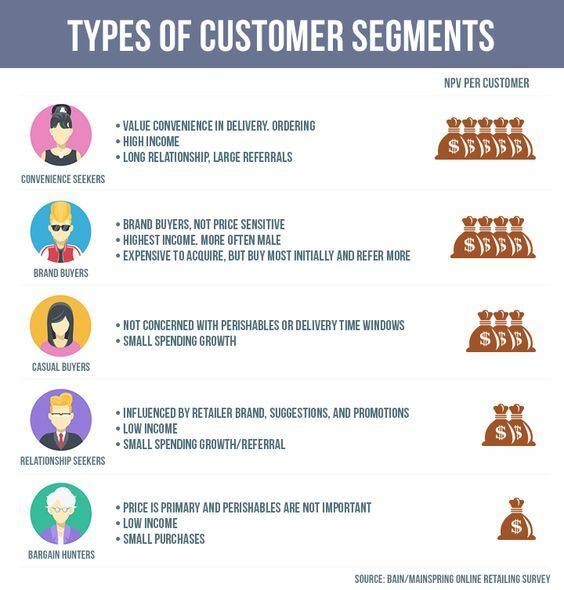 Some uncertainty will always be present, but poring over all of the data that you collect is critical to ensuring that you’re making the right decisions – and customer segmentation is a key tool to figure out who’s worth selling to, and how to sell to them. That means grouping customers by the data that you’ve collected about them – age, gender, where they live, how they found you, how much they spend, what they buy, what they read. The list goes on. Once you find a pattern you think works for you – maybe it’s customers that spend more than $100 a year with you, that live in chicago and read GQ, you can start to develop hypotheses about what they’re like, what products they might be most interested in, and how to communicate the product’s value to them. Customer centricity is the practice of focusing your customer experiences around serving an ideal customer segment. It’s all the rage these days because customer centricity has been found to be a highly profitable strategy. If you use the tools applied above – capture data about your customers, segment them to develop insights about who you aim to serve, and build your business, products, marketing strategies, and customer experiences around those customers, then you instantly offer them an experience that less attentive competitors will never be able to compete against you on. Particularly you find your efforts spread too thin, employ customer-centric strategies and you will find success. “Get closer to your customers. So close that you tell them what they need well before they realize it themselves” – Steve Jobs. It’s time to stop finding customers for your products, and to start finding products for your customers. Think like a customer. Start a free trial of Vtiger CRM and joint 200,000 other businesses that capture customer data, develop customer insights, and sell, market, and support more customer centricly with Vtiger.